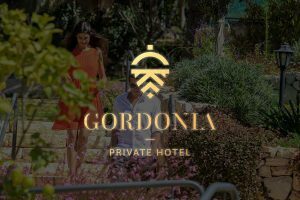 Even if you have come to the Gordonia Hotel in search of quiet, tranquility and the crystal clear air, music still is one of life’s greatest joys, and musical performances in any number of styles can be found in any number of places in the vicinity of the hotel, for your listening pleasure. Listen, and enjoy every moment. history going back more than half a millennium. Two churches exist in Abu Ghosh today. acoustics; the music is chosen with care, and the repertoire is unique. Dietra from nearby Yad Hashmona. Advance reservations are a must. place, which used to be known as Kafr Gamla (Gamliel Village), was named after Rabbi Gamliel Nakdimon, who served as president of the Sanhedrin (the ancient Jewish rabbinical court) in Yavne and was buried at what is now Beit Jamal. According to Jewish tradition, Rabbi Gamliel Nakdimon’s grave is located in Yavne, though his estate had been at Kafr Gamla. and the olive oil are available at the on-premises shop. Guided tours of the monastery, St.
shop, as are their handmade chocolates, which can be tasted. Shemesh and exit left at the Beit Jamal turnoff. beautiful berry tree planted more than a century ago grows in the courtyard. Address: 29 Hamaayan St., Ein Kerem.